Campaign Background: With over 300 participants, many entering as early adopters into the storage market, it required a massive amount of communication between the participants and SunnyAfternoons , Suncrowd & Community participant Groups. With over 3000 different potential customers in attendance across the Suncrowd Information & signup nights, and over 8000 threads of resulting electronic communications , with copious flow of emails, phone calls and text messages, all prior to installations beginning. The end result being a overwhelming campaign sign up of 2.5 times the allowed estimated response. By nature of the campaign the decision was made to give everyone in attendance equal opportunity to access the products and services via the campaign promotion. This has had the effect to cause a delayed startup of the rollout and by the exceeded volume of subscribers the expected completion time being extended. Final closure of sign into campaign was not till end of February 2017. We would like to advise those waiting for their system we are working as fast as allowable to get to everyone remaining in queue and each order will be attended to in due course. Some installations will be delayed due to factors beyond our control and mainly relate to extended number of participants, product availabilities or changes to technologies originally promoted by Suncrowd. Here is the current statistics on the Campaign Rollout detailing any notable event , delay or changes. These pages are updated on approximately a weekly basis .Any news or information on each region will be posted here which will include current installation progress , delays resulting from products or resources in each region. We'll also make note of tips, tricks, customer experiences and help files for all the NEW technology being used as result of the campaign. Please feel free to check in here anytime to find out any news. These pages will update with any major changes or notable news we need to get out there. The first TESLA solar battery to be installed in the Bawley Point Kioloa area was completed last week in the home of Karin & Roger Lucas. In September our contractors installed the Powerwall 2 at a house in Tarrawanna, which was open to the public 3 days later. Sunday 17 September was Sustainable House Day, an annual national event organised by the Alternative Technology Association (ATA). Homeowners Neville and Judy are members of the Wollongong branch of the ATA and early adopters of energy efficiency technologies and sustainability methods. 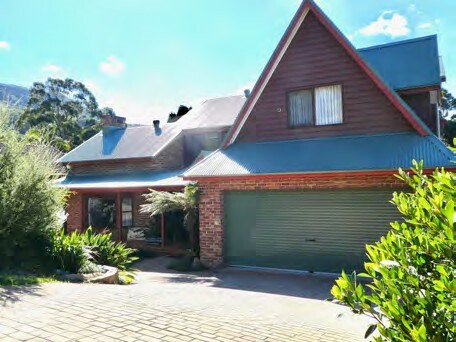 Off the Grid in Shoalhaven ! You guys are awesome , so is the Tesla , have had power outages in area I am the only one with lights on .. this is great . > Hey , Whats Going On , No ones talking to me ! > Install Preparations you can assist with ! With the overwhelming response and need to justify all those wishing to subscribe we were encumbered with delays that set our start date back to End February and into early March 2017. March led us into worst Month of rain we've ever seen in our days supplying Solar installations dating back to 2004. Reposit had informed us of a Australia wide recall in April , we are only since October seeing any substantial supply coming back through with all Reposit based held due to this situation (see Reposit update here)! 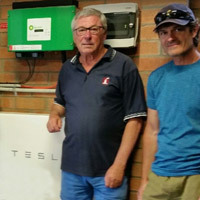 All installation teams were slowly learning & training on newer technologies for install processes and adopting to forthcoming regulatory requirements as AS(Standards Australia) put forward several 'documents for comment by industry' in lieu of upcoming deployment of relating battery technologies - all new rules the whole industry has had to deal with ! In all , the rollout being slowed to otherwise what we have normally been accustomed too in standard Solar type installations we have rolled out since 2004 ! The new Powerwall series 2 are finally coming through from the Tesla Gigafactory located in Nevada US. Notable delays are still present worldwide on access to the Powerwall 2 batteries. Most of Australia has limited access to the Tesla units at this time , any new orders taken will not see delivery until late Qtr2 2018 according to Tesla Australia. There is a pending worldwide announcement from Tesla. It is expected this will provide information regarding ongoing supply & delay issues. We will keep you posted & direct information to those affected once we know. SunnyAfternoons has secured forward order stock of units for ALL campaign participants and we are seeing stock arrive each week and are dividing the units up accordingly in each region. We ask those with Tesla units to be patient as our installation teams are primed to install them as soon as each allotment lands in our stores. ......You will surely be amongst the first in Australia to have a Powerwall II system installed ! * current notification on installation may be as short as 7-14 days due to stock arrivals on weekly basis ! For those who have one installed already you are in the elite , those pending for their Tesla we will soon be seeing you . We have not seen a Tesla customer yet who has not been overly impressed by the technology. Tesla Backup Option Now Standard Item ! Any orders without the Option are Automatically Updated for the Addition. 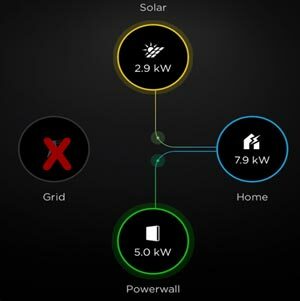 Just prior to the release of the Powerwall 2 system , Tesla decided to 'drop' the ' non-backup ' gateway option of the Powerwall 2. There is now currently only 'one' version available which includes the ' off-grid & power backup modes '. What does this mean for customers ? As a further plus , when the Tesla is in backup mode & provided you have sunshine & Solar system running fine , it will allow the solar to function as normal , supplying your house &/or charging the battery ! The backup function has an 'extremely smooth cut over' , has a 5kw continuous rating ( best we know of without having to add many $1,000's extra ) , it can peak @ 7kwp for short bursts , and will eventually facilitate a 'Full Off the grid mode ' - basically a must have ! What If I did not order the backup option with my Tesla ? As there is now 'no option ' for a non-backup Tesla , your order is automatically updated to reflect the 'backup option' & price associated with equipment & installation. We have maintained the lowest price possible & your entire system including the backup function maintains campaign pricing guidelines. This is out of our control and is a flow on from Tesla's decision to remove the 'non backup ' system from their product offering. ...All customers to date that have been upgraded have never looked back and have also commented they should have ordered it originally or now wanted to add the function ! Trust us, this is a puppy you want to take home with you ... The #1 reason for people in the US for purchasing a Tesla is BACKUP , we now can see why ! This totally out of control and we are tending to ramp installation priority on these as soon as units become available ! We can report we have small qualities now entering the field at this time during October , we are expected to ramp up these installations as further stock arrives during November & December. To speed installation as the Reposit systems arrive , we are working diligently in our Moruya office to pre assemble & program each system prior to installation ! * current delays are expected to alleviate during the course of October through to December 2017. * there is some further delay on 3Phase systems but we are resolving this by late October with a newer install setup. * some installations are experiencing problems in which we are resolving , mainly due to setup parameters and installation types & just being new tech everyone is learning. ** Some systems have been installed without Reposit controllers at request of customers looking to get at least the battery/solar installed , we are currently processing these Reposit retrofits on the first available units. We are asking those customers effected to be patient . - Note (Tesla /Reposit customers) : as previously communicated in newsletters , the Reposit system is 'no' longer compatible with the new Tesla Powerwall 2. If you have a Tesla system ordered with a pre order on Reposit , the Reposit system will be dropped from your order. You no longer need the pre registration on the Reposit account which would have been setup for you. Tesla have promised in future software updates that a similar type functionality ( possibly even more options) will eventuate during later 2017 & early 2018. By nature of the Suncrowd Bulk Buy Campaign it is becoming more so evident we are seeing numbers of installations where variations are required to complete the install. This has been one of main factors in progressing forward and has created bottlenecks to proceed to consecutive installations or having to return to site to complete variations or delays caused by them. We stress that all efforts were made during order placement through the Suncrowd online portal .With the limited options proposed by Suncrowd on order forms have left in some circumstances critical details required to process installations in a manner SunnyAfternoons would normally be accustomed to turnkey the install. Don't panic if you think your order may be wrong ,or you have been advised of a variation, we are here to help you ! It is not in our program to provide any thing that is not required other than what is necessary for a safe & correctly functioning system , Solar or battery . Any variation discovered that is essentially required to proceed the installation will be discussed one on one with each customer usually at time of install. If the install cannot proceed on the day a variation may be discovered , our offices will be in contact to discuss options and re program the installation if required. Please note : SunnyAfternoons will not proceed with an installation that requires critical upgrades that deemed required and are not agreed to. We will only install systems that maintain full compliance to local utility codes & Australian Standards and the system will perform as it was intended. We have seen many customers have a change of heart or thinking early in the subscription stage or at time of installation ! At least 30% of all initial orders had to be reworked to some effect that may have also been a result of incorrectly ordered through the Suncrowd online system or did not suit the customers application. We have found this resulting from limiting factors in the ordering matrix that does not entirely suit all installation types. There are those also that may have ideas or changes and we can accommodate within reason if it doesn't upset the apple cart going along. - Solar system extensions/additions/reductions , technology changes (string inverter to micro inverter, vica versa ) , battery upgrades/additions/scaling. All Solar related installations have been effected across Australia by changes to the Renewable Energy Small Scale Certificates market rates. We are doing our best to alleviate the cost to customers but there are extended charges relating to the STC price variations we cannot control or buffer. The STC variation has not altered the total cost of the system , we have been able to maintain equipment & install costs! The STC’s represents the level of contribution that is offered at the time of installation, and fluctuates both up and down, sometimes more regular than other times. The STC’s and the resultant financial benefit are controlled by Government agencies, and are beyond the control of SunnyAfternoons, and we have a legal obligation to adhere to the processes. * Current market rates are varying from $29-$35 . * Variation differences are calculated at a per kilowatt amount & applied as prescribed by authorities. * Market rate is extremely volatile and we are doing are best to obtain prices through our trading channels ,hence we will only advise variations at time installation and completion of paperwork on the day. Please complete all paperwork in a timely manner when asked by the installation crew on the day of installation or at final completion so as to obtain the best rate on STC we can achieve for you ! Please Note : Once your installation has completed and STC rebate paperwork is submitted you will have a followup call from our STC trader & possibly the CER (Clean Energy Regulator) whom will verify the information as part of standard processes administered by government authorities. Please be advised this is standard process and it is OK to answer any questions on details ( being your name , address) to verify the rebate & installation location. Hey , What's going On , No ones talking to me !! Ok, were not ignoring you , we're simply flat out trying to keep everyone happy with factors and resources as best we can. The campaign is dealing with over twice the number of participants originally allowed , with extended equipment delays & way too many variations on original online orders taken by Suncrowd. As of 'early November' we have successfully completed beyond the allowed sign up quota. If you are still waiting your order don't be concerned as we have you in our sights and your system will be installed as soon as possible. Please know this is a community driven Bulk Buy Campaign striving to give all subscribers the best product ,access to NEW emerging technology , at best prices & drive local resources to do so. Many people have been early in the sequence , some will eventually be last , we cannot change this. We have only so many installers and resources to get to everyone. The installation & integration of quite often multiple technologies into one cohesive system has had it bugs and teething problems with a steep learning curve. As the the rollout has progressed our engineers have identified and rectified many if not all of these issues thus facilitating a faster ,smoother installation for later customers in the program. What we would like to let you know is that we will get to do your installation and we will honour your subscription in the campaign. SunnyAfternoons has been installing Solar systems since the rise of Solar in the early days , we are not going anywhere and we will still be around long after your system is installed to support you ...! There are very few solar companies that can lay claim to this ! Bulk Buy Caimpaign participants placed orders through Suncrowd and as such SunnyAfternoons expected that these orders be deemed to be both accurate & compliant to fulfil both customers expectations & regulatory requirements. We may remind participants that if SunnyAfternoons Installers cannot install the system as ordered due to missing or incorrect information or result in a non compliant installation or not fulfil customers expectations then variations will need to be applied ...! The local installers have stated that they will give priority to those that understand the campaign and are amenable to the installation and the crews, and we will support them with their decision. There is no benefit to anyone by making their day more difficult. Please remember that they are there to install some expensive equipment, often not in the best circumstances or environment, and requires a level of skill and competence not readily found in this industry as most of the technology is new and there are precious few that have the experience with it. We are asking customers to pay their accounts in a timely manner. In not doing so as part of the campaign you are simply crippling our efforts to get to the next installation inline. Most systems entail some very expensive equipment and we need to keep the flow of supply moving forward. The Bulk Buy Campaign works on volume and costs so we appreciate you keeping things progressing. Some installations where we are providing partial package installations ,ie, Solar before say your Tesla arrives , we may ask to part pay the portion installed. Please note : Metering installations require pre payment in order for us to engage the Utility service & meter replacement - please do not ignore the meter charge on your bill it will prevent meter upgrades processing timely. Install Preparations you can assist with ! * Clear access to your property - remember well be usually be bring truck & trailers full of gear. * Your Wi-fi information - most systems require Internet access for monitoring & data so the installers wil need this handy to complete the install. * Tesla customers - you will need to have account ready ( see blog on how to setup) - Tesla Powerwall Account Setup. * Be prepared for short power outages as we will usually need to disconnect your power during the install process . * And of course , the usually scones & tea before 1pm , maybe a light beer if we over extend our stay past 4pm knockoff time !!! If you are having a ‘Part Installation”, such as PV modules before the Tesla (this has not been offered throughout the campaign previously), you will need to agree to reconcile the part invoice for the PV installation in entirety, and not withhold payment against the delivery of “Back Ordered” products, as this impacts our ability to continue installations for other participants. Your total system price will not change , you will be billed only for what is installed. This normally will entail Solar PV or Solar PV & Battery(LG). Each system will be fully operational and compliant at that point . Our customer service team will contact you if this is being planned for your installation. Tesla Backorders : Your Tesla order will also progress higher in the queue by having the Solar installed first.